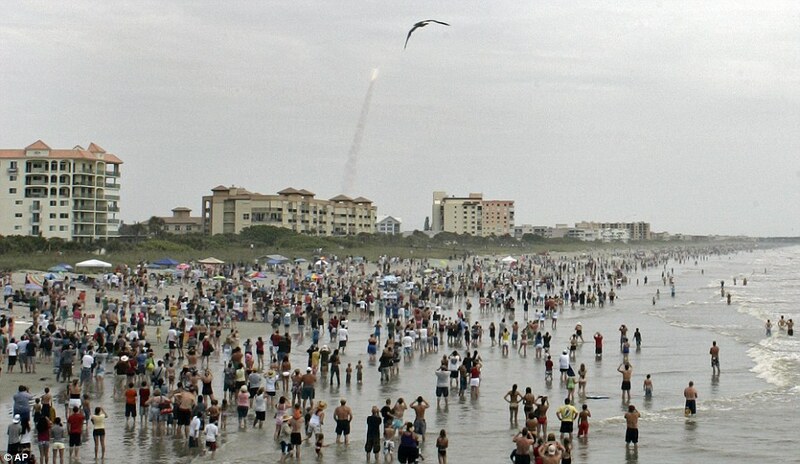 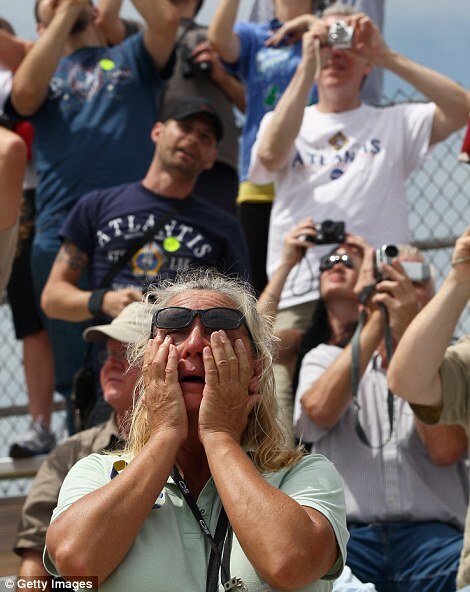 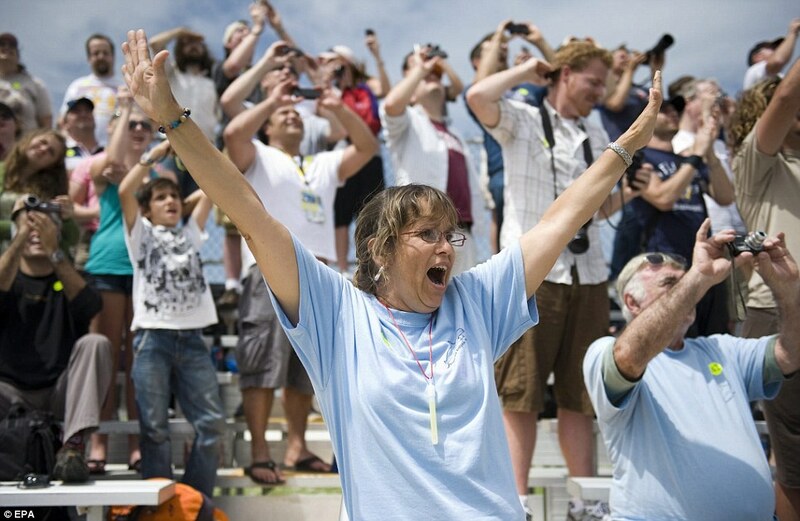 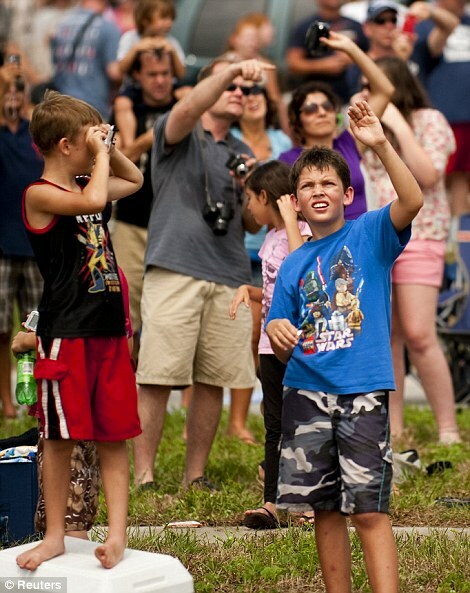 Crowds gathered at NASA's Kennedy Space Center early Friday to witness the final launch of the space shuttle Atlantis. 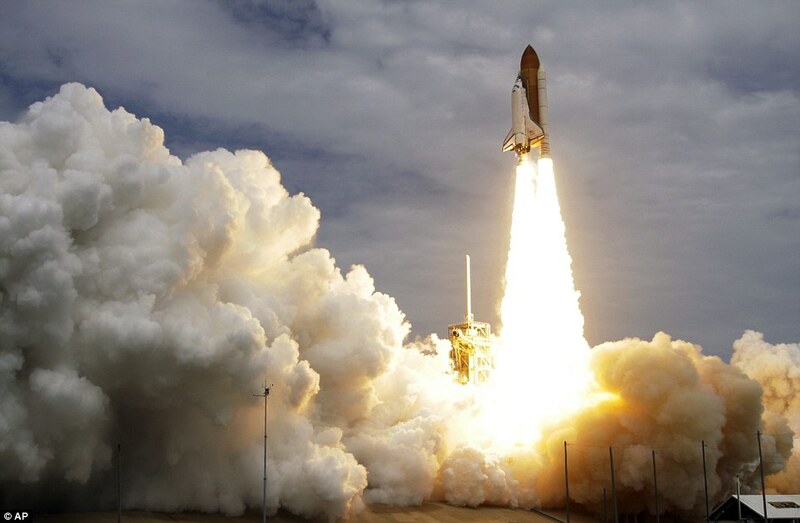 The liftoff—which took place slightly behind schedule at about 11:29 a.m. (July 8, 2011) ET—marks the 135th and final space shuttle mission, capping off the 30-year-old U.S. space shuttle program. Atlantis carried a four-member crew to the International Space Station for a 12-day mission. A stormy weather forecast had threatened to delay the launch, but clouds thinned an hour before the scheduled blastoff. 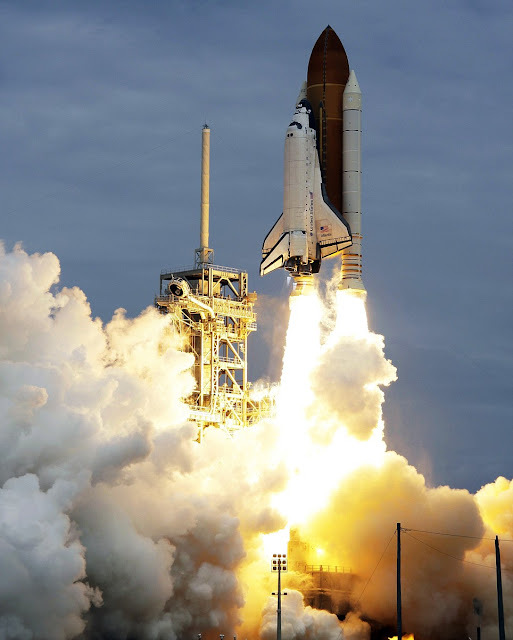 "On behalf of the greatest team in the world, good luck to you and your crew on the final flight of an American icon," NASA launch director Mike Leinbach told the crew just before launch. 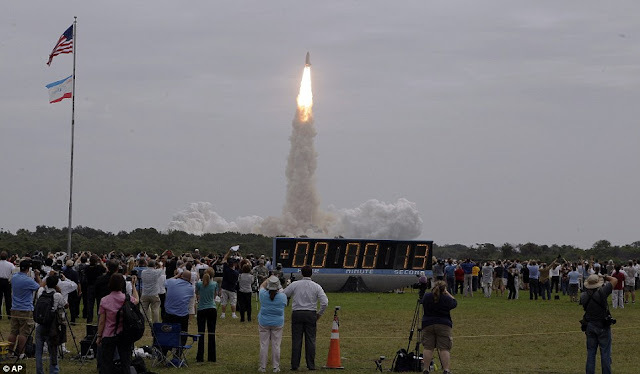 The space shuttle Atlantis roared up from Launch Pad 39-A and was visible for 42 seconds before it disappeared into the clouds over Florida's Kennedy Space Center. 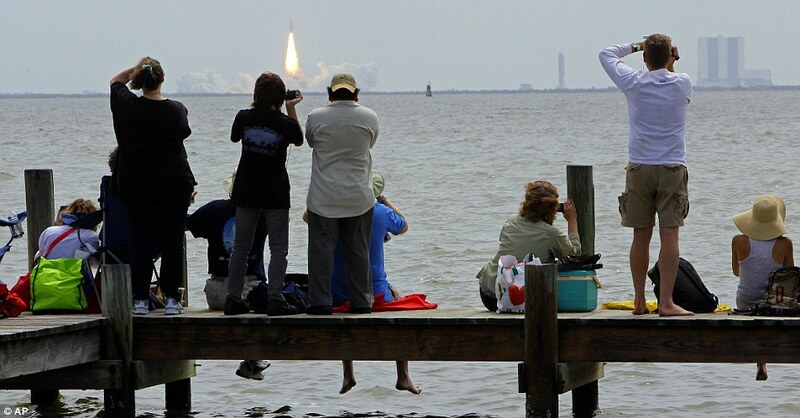 "It truly was an awesome, spectacular launch," space center director Bob Cabana said at a press conference Friday. 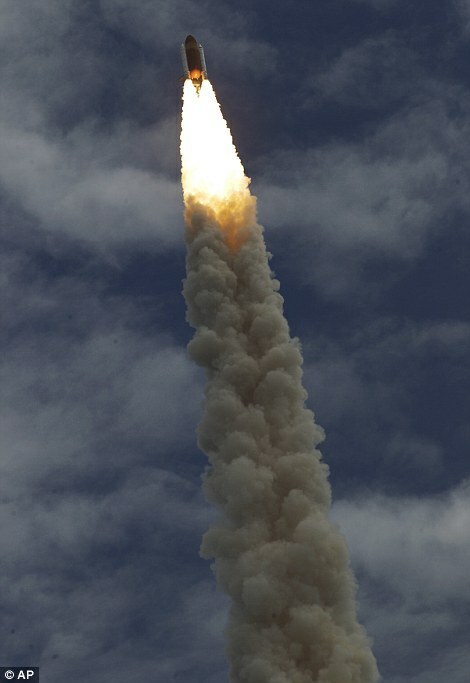 "The only way it could've been better was if I had found a way to stow away on there somehow." 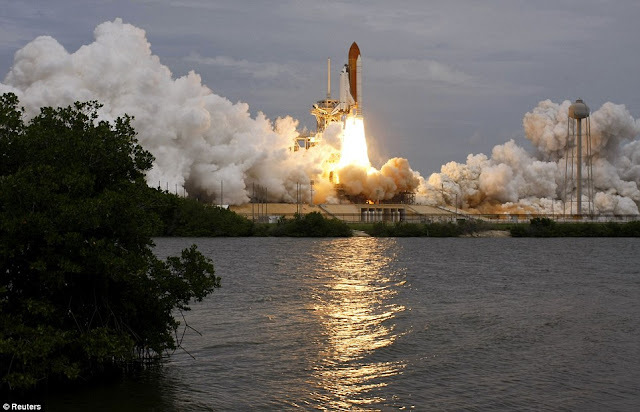 Atlantis is carrying more than 8,000 pounds (3,628 kilograms) of food, supplies, and scientific instruments to the space station as part of its mission. The space shuttle is scheduled to dock with the International Space Station on Sunday and return to Earth on July 20.